Stockton Town has now been competing in Senior Open Age Football for 6 seasons. The first year we competed in the 2nd Division of the Teesside League and the following 5 years have been in the Wearside league. Our current leading goalscorer is also our current Golden Boot Award holder and the Wearside Leagues Golden Boot holder, Kallum Hannah. 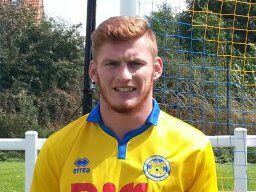 Kallum is now in his fourth Season at Stockton Town and his 124 goals to the end of the 2014/15 season have come in only 126 appearances. Kallum’s first Season at the Club was badly affected by a thigh injury which restricted him to only a handful of appearances. Last Season Kallum scored an incredible 56 goals in all Competitions for the Club. The table below show’s Stockton Town’s top ten all time goalscorers as of 1st August 2015.